CFO or Controller White Paper: What's Right for Your Business? CFO or Controller White Paper: What’s Right for Your Business? Should we hire a chief financial officer or a controller? The answers to these questions – and the right resource solution model – will hinge on many different factors and will vary from one company to the next. This free CFO or controller white paper explores the decision-making process and alternative solution models including a non-traditional option – CFO services – that can bring high-level financial expertise without the costs of a full-time hire. How specific drivers are worked through and resolved determines the right solution model. A head-to-head comparison illustrates differences in expertise and responsibilities. High-level skills of experienced CFOs are illustrated in successful resolution scenarios. 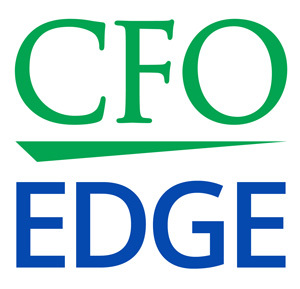 A non-traditional model delivers CFO expertise at a fraction of the cost of a full-time hire. As the CFO and controller are both critical, high-level financial positions in any business, it is important to periodically assess financial leadership roles. Download the CFO or controller white paper for a review of drivers needing resolution, as well as comparative merits of both traditional solution models and an attractive alternative.